Extreme winter weather. Few people know its true wrath better than the Canadians. Being a born and bred Canadian myself I have experienced -40 degrees Celsius, and believe me when I tell you – that’s not only cold, but can be deadly. 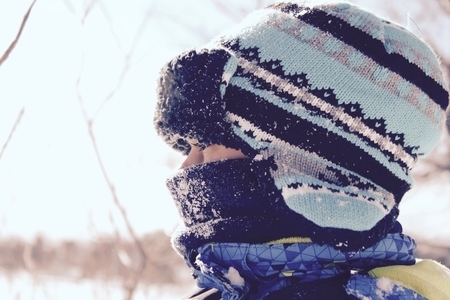 In fact, the coldest day on record in Canada occurred on February 3, 1947 where the temperature bottomed out at a balmy -63 degrees Celsius (that’s -81 degrees Fahrenheit!). Thankfully, I was 26 years away from being born at the time because weather that cold was documented to freeze your breath in mere seconds and have it fall to the ground as a solid! So, what is the one thing that all these weather events have in common? They have a devastating impact on workforce productivity from a staffing perspective. From snow drifts blocking building entrances and highway closures, to temperatures so cold it freezes car batteries and jams locks, inclement weather always results in understaffing, which lead to customer service degradations. As those in the business know, severe weather in any form never decreases call volume or customer needs, so when inclement weather does rear its ugly head, businesses who care about their customers must be ready to combat understaffing and the poor service levels that are the result. The solution is virtual micro call centers. When businesses can’t get their agents to the call center, they need to use call centers located wherever the agent is. Agents working for call centers using virtual technology platforms have no need to fight the traffic or battle a car that will not start. They can be available when needed and add a level of flexibility that a brick-and-mortar call center simply cannot. Virtual platforms offer backup solutions to power failures and exceed the physical capacity of any office space. They can be spread out across vast geographies, opening the opportunity to more specific skill engagement, and can be counted on to give companies access to virtual call centers acting as customer service saviors when traditional call centers are inaccessible. The virtual model is one that is rapidly growing in Canada, and will continue to grow. The fact is that winter takes up half the year in this country and that brings with it inclement weather. Companies can either accept customer dissatisfying wait times and loss of revenues, or be prepared to service their customers no matter the anger level of Old Man Winter. Are your customers worth being ready for? Chris Dunning is Director of Client Results at Arise. Chris is responsible for supporting clients in the Tax and HVAC industries. Chris joined Arise in 2013 as Senior Client Results Manager, focusing on the company’s Canadian side of the business. Prior to joining Arise in 2013, Chris spent 12 years working in the Canadian Telecommunication call center industry holding various levels of responsibility, including Director of Sales. Chris holds two bachelor’s degrees, one in Business and the other in Telecommunications from Ryerson University in Toronto, Canada. He is married with 4 children, including 7-year-old triplets.